Whether a person dies with a valid will in place (called dying “estate”) or dies without a will (called dying “intestate”), the person’s will – if there is one – and his or her estate will pass through the probate process. Probate refers to the court-supervised process whereby a decedent’s affairs are wound up, his or her valid debts paid, and his or her assets distributed to his or her heirs and/or beneficiaries. The probate process can be complicated, however, especially for a family that is still grieving the loss of their loved one. Where a loved one dies testate, many of these decisions have already been made by the decedent and the family’s burden is significantly alleviated. But even in cases where it appears the decedent died with a valid will in place, disputes and disagreements can arise that can lengthen and complicate the probate process. 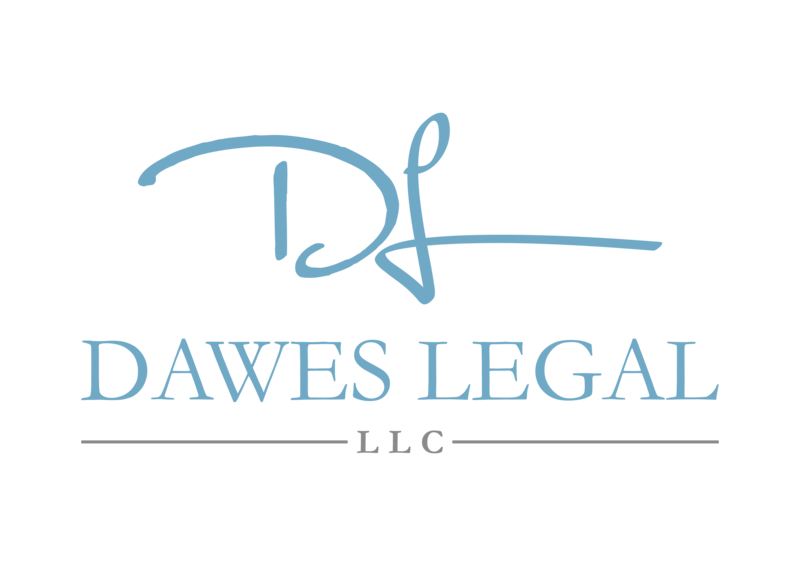 In these challenging times, Dawes Legal, LLC can assist families protect their loved one’s final wishes and bring a quick and favorable resolution to the probate process. Before a court will determine that a decedent’s will ought to be followed, the will must be presented and accepted as valid by the court. Unfortunately, this is one area where disputes can arise and additional probate proceedings become necessary. A will that is not executed in conformity with statutory requirements can be disregarded by the court and the individual’s estate will be handled as if the decedent died intestate. Not only this, if one or more interested parties believed the decedent did not have the requisite mental capacity to create a will at the time he or she did, the will’s admissibility to probate may be challenged. The individual chosen to be the executor or administrator of a decedent’s will has an obligation to carry out the instructions contained in the will (or, if the decedent died intestate, the directions of the court) in a reasonably expeditious and careful manner. When an executor or administrator fails to carry out the duties of his or her office in a timely manner, or when the decedent’s heirs and beneficiaries begin to suspect that the executor/administrator is taking advantage of his or her position of influence and control to their detriment, legal proceedings may be initiated to ouster the executor/administrator and recover any property or assets that were wrongfully disposed. When a probate proceeding must be initiated – whether to admit a will to probate, challenge a suspicious provision of a will, or ouster a misbehaving executor/administrator – having experienced legal counsel at your side can make all of the difference. Many of these proceedings are resolved not through emotional pleas but rather through careful application of complex laws to the facts confronting the court. In other words, your ability to prevail (and the ability of your deceased loved one’s intentions and desires to prevail) depend on being able to convincingly demonstrate that the dispute can only be resolved in one way given the applicable laws and the facts of the case. Dawes Legal, LLC can made complicated and contentious probate proceedings easier for you and your family. I pride myself on being able to help my clients resolve their probate-related disagreements effectively and efficiently. I understand that even the most carefully-crafted estate plans will cause some arguments and legal battles, but many of these disagreements can be resolved through a careful investigation into the facts of the situation and by knowing the law the court will use to decide the matter. If you find yourself enmeshed in a probate-related legal battle, contact Dawes Legal, LLC today at (614) 733- 9999 to schedule a free consultation and learn how I may be able to help you achieve a more favorable outcome in your case more efficiently.